Hurricane Preparation for Homeowners - Scarsdale Premier Insurance Agency | Advocate Brokerage Corp. In the event of a serious storm, protecting your family is essential. The best way to make sure if this is to prepare your home ahead of time. When your home is protected, these storms may not seem so bad after all. Here are some tips on how you can prepare your home for a serious storm. How will you get warnings? Where will you meet when conditions are safe? How will you get to the safe location? Who will be in charge of taking important papers? 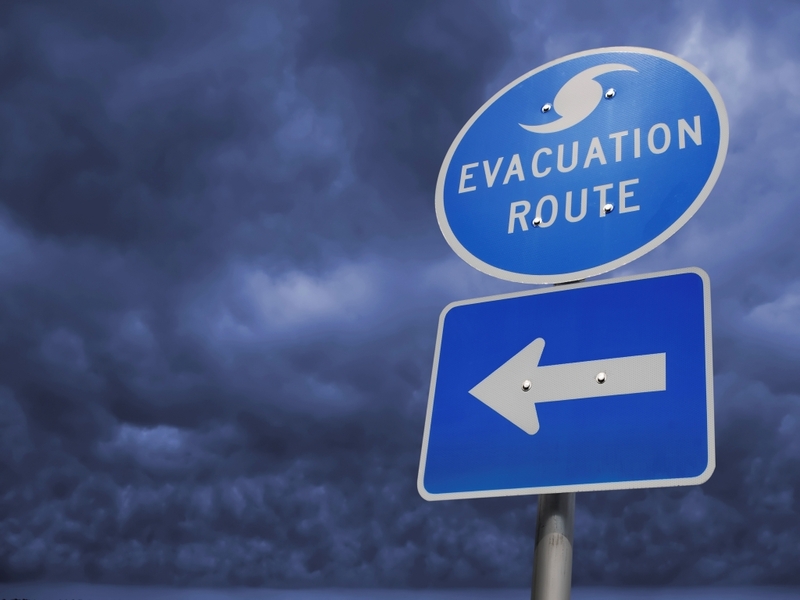 Plan an evacuation route in advance and determine where you would go if you need to evacuate. Stock up on drinking water, non-perishable goods, a first-aid kit and medicine for everyone including your pet. Include extra clothing, blankets, batteries, flashlights and a portable radio. Conduct a Home Hazard Hunt and make your home as safe as possible. Secure all objects such as garbage cans and lawn furniture. Bring potted plants, mobile grills and any free standing, lightweight items indoors. Be sure all awnings are closed and secured. Tie down any other loose items that may become projectiles in a high wind. Clear rain gutters and ground level drains of any debris to avoid water backing up. If your home is equipped with shutters or panels, now is the time to use them. If you do not have shutters, close and lock windows and doors to minimize the chance of them blowing open, or of water being blown through gaps. Move Furniture and Household Fixtures. Move them away from exterior door and window openings. If possible, elevate these items and cover them with plastic. Test and Refuel Your Backup Generator. If you have installed a gas-powered generator as a backup power supply in your home, regularly test it to ensure that it is operational at the time you need it. When a storm approaches, run another quick test and make sure that plenty of fuel is available. To be safe, park your cars at higher than normal elevations if possible. If you live in the city and park in a garage, ask to be parked on an upper deck. One or two feet can sometimes make a huge difference. If you own a boat that is docked, check the lines and fenders and consider adding additional lines or fenders. Strap down boats that are ashore securely to some sort of anchor. Stay tuned to weather advisories and evacuation notices. Also, know your community’s hurricane safety plan and develop a family emergency evacuation plan. Follow official notifications for a safe return home following an evacuation. Keep your receipts if you are unable to live in your home or must relocate while repairs are being made. Walk the property, watching for and avoiding downed tree limbs or power lines. Do not use electricity until it is safe to do so. Look for broken electrical fixtures or exposed wiring. Report any downed wires or exposed wire to the utility company. Check for damaged plumbing connections and pipes or standing water. The main water supply shutoff valve is typically located in the basement, crawlspace of your home or outside of the home near or on the water meter itself. By taking immediate action, you will limit the damage and increase the chance of salvaging usable materials. You will also reduce the amount of rust, rot, mold and mildew that may develop, and lower the likelihood that the water will lead to structural problems. Disconnect all electronics/electrical equipment and relocate belongings to a safe, dry part of the house. If there is standing water in the house, sweep as much of it to the outdoors as possible. If possible, place water-damaged clothes, rugs, or furniture into a sunny or breezy location. Begin to remove water-damaged materials immediately and take photos or save samples or discarded items (such as carpets) for insurance purposes. Carpeting that has been wet for less than two days may be able to be salvaged by using a wet-vac or commercial carpet cleaner, but quick action is critical. In any case, the carpet padding will almost certainly have to be replaced. If possible, run the air conditioning and/or dehumidifier, or use blowers or fans to help dry out the interior. In the aftermath of high water inside your home – especially if the wallboard has been saturated – cutting four-inch diameter holes through the walls about one foot above the floor will help the house dry out.